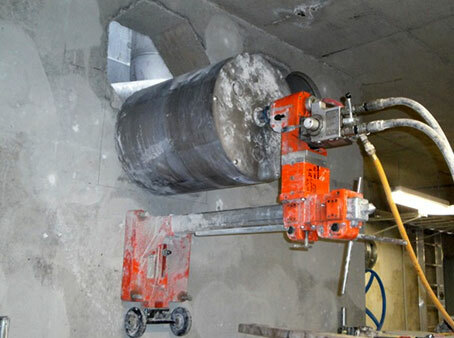 Diamond Core Drilling is a fast and easy method of drilling round holes through concrete, even if it contains rebar. Holes available in any diameters at unlimited depths, and can be drilled at any location using electric or hydraulic equipment. Anchoring, conduit, piping and dryer vents that were not originally planned for can be easily and quickly added to any location.